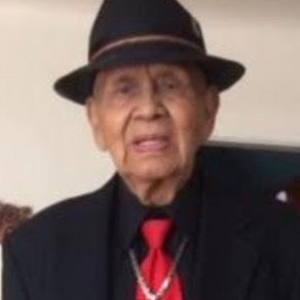 On Saturday, April 6, 2019 Enrique Garcia lost his battle with cancer and was called home by his maker. 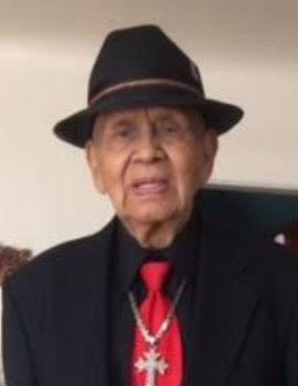 Enrique was born January 14, 1925 and was a lifelong resident of El Paso. He retired from Greyhound Bus Lines after 35 years of service. He was preceded in death by his wife Raquel. He is survived by his children: Jose Enrique (Cuca), Jesus Ernesto (Irene), Raquel Gonzalez (Ernesto), Rosaura Quintanilla (Jesus) and Rebecca Garcia. He is also survived by eleven grandchildren and eight great grandchildren and his constant companions and beloved pets Gracie and Markie. Pallbearers will be Jose Enrique, Jesus Ernesto, Jose Kik Garcia, Joselito Garcia, Jesse Garcia, Mark Garcia. Visitation Thursday, April 11th from 9 am to 12:30 pm, Rosary at 11 am at San Jose Funeral Home-East. Mass at Our Lady of Mt. Carmel Catholic Church at 1 pm. Interment to follow at Mt. Carmel Cemetery.